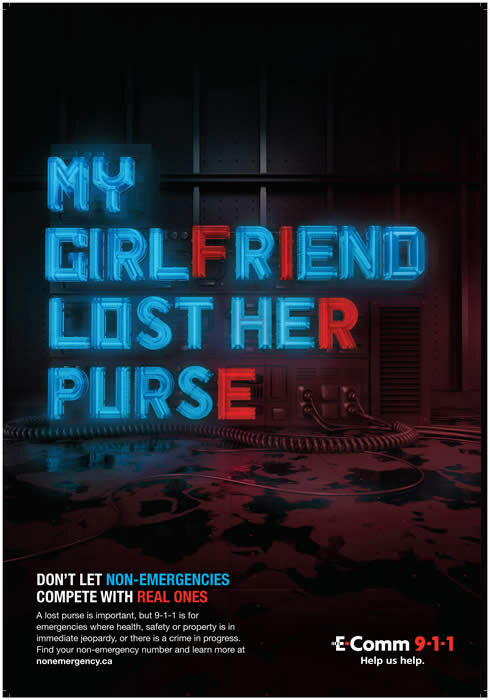 Our goal with this campaign is to help raise awareness of the issue of non-emergency calls made to 9-1-1. 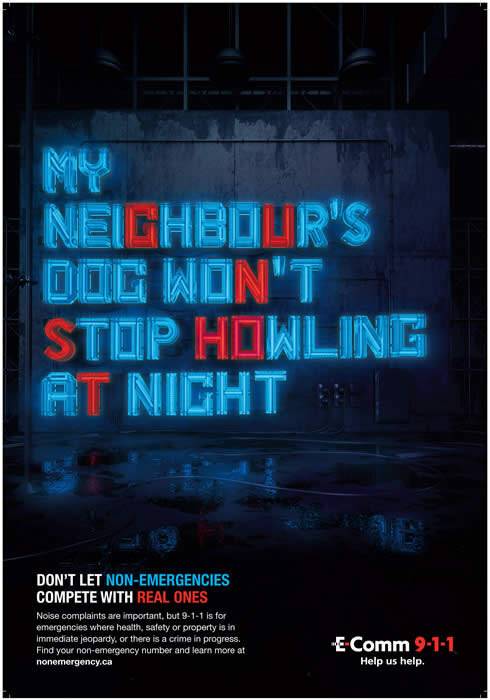 In the posters below, we overlay two situations—one emergent and one not—to drive home our message of not letting non-emergency calls get in the way of real ones. 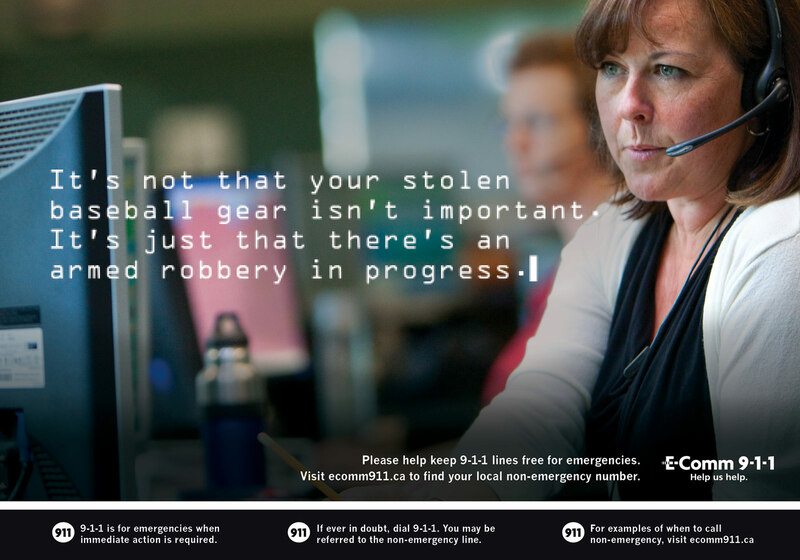 If you need police assistance that is not of an emergency nature (for example, more than 15 minutes have passed since the incident occurred, there are no injuries, the suspects are nowhere to be seen and their location is unknown), please use your local ten-digit non-emergency numbers. Do you see the emergency? 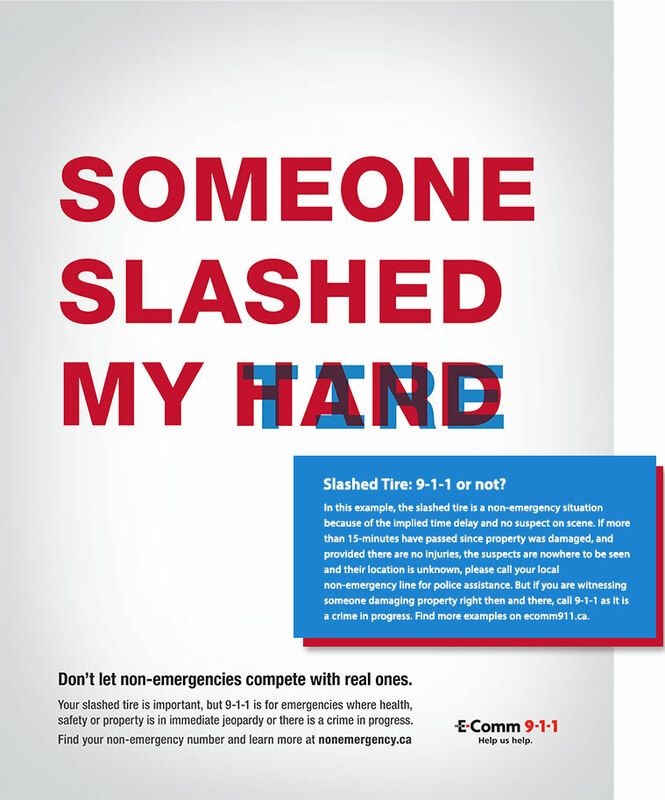 Calling 9-1-1 for a non-emergency situation ties up important lifelines meant for people or property in immediate jeopardy or when a crime is in progress. 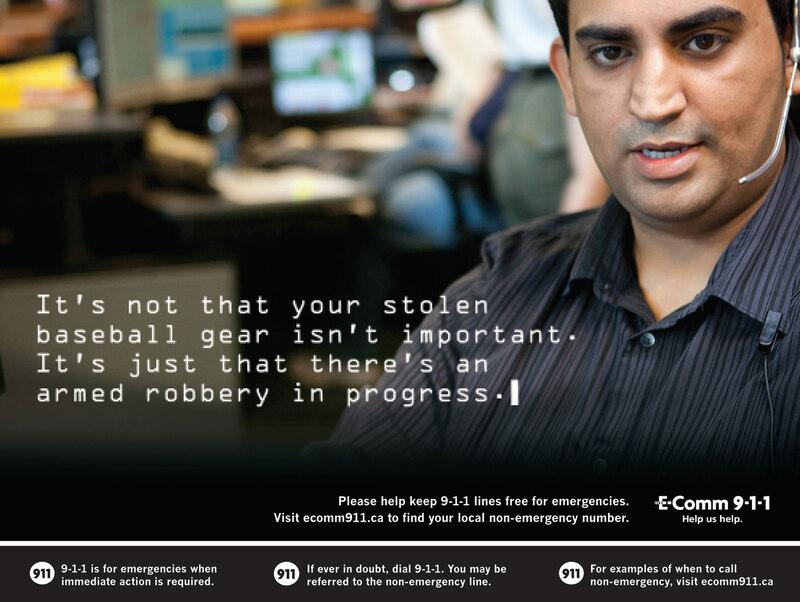 Help us keep 9-1-1 lines free for emergencies that require immediate action. 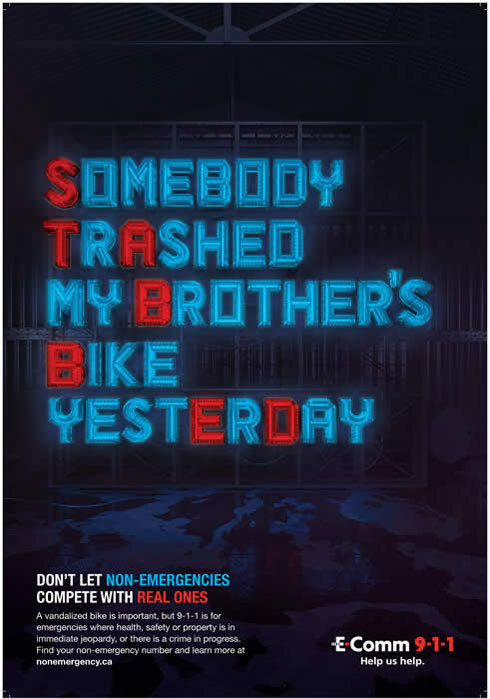 Heard from the 9-1-1 call-taker’s point of view, the following radio ads are intense and emotive, featuring an emergency call lost within other non-emergency calls to 9-1-1. Radio Ads below: Buried and Overpower. 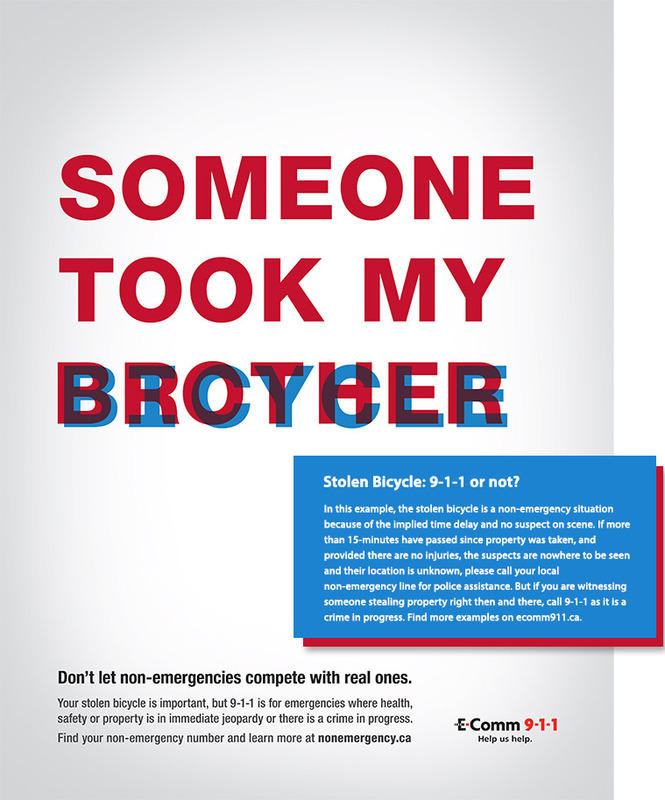 In this campaign, we focused on the issue of non-emergency calls made to 9-1-1 by overlaying two situations—one emergent and one not—in a dramatic way to drive home our message of not letting non-emergency calls get in the way of real ones.